Stimulates early root development. Mild 4-10-3 formula encourages strong root growth and helps reduce transplant shock. Intended for use at planting time: apply diluted solution into planting holes for contact with root system. Promotes greener, more vigorous plants and trees. 1 pint (16 ounces) makes 8 gallons. 1 quart (32 ounces) makes 16 gallons. Get things off to the best start possible. This stuff is amazing. Any tree or Bush I've planted without it died around year 2. Since using it, I haven't lost a plant yet! Can you use this product after transplanting within a certain time frame? I have a few trees I transplanted a week ago and did not have this at the time. BEST ANSWER: Yes it should be no problem I have used this product a few months after planting for a boost and had no problems. Now is a perfect time to use this! Fall is when you want young root systems to develop before the cold weather sets in. Please be sure to follow the package directions carefully and don't overdo it. I have a big problem with weeds in my garden, would this help with garden soil and this product to help reduce the weeds??? BEST ANSWER: This is a plant starter to help root development in new transplants. It is not intended for use as a weed control. Is it necessary to use this if my garden soil is amended every year? BEST ANSWER: Definitely yes. One of my basic duties is to enable the roots to be strong, vigorous and able to endure. Roots need soil amendment but what good is that if they lack the capacity to respond to soil amendments. Stark Bros. Products are the result of much testing. I have successfully relied on their products together with their directions, so long as I follow the directions. You will have happy roots whose smiles manifest in healthy plants. Look at it as one final amendment. You don't want to go digging around your tree roots while they establish. Also you may want to go deeper than usual this time to make plenty of space for those new roots. I use Bonide when I first receive my plants before they are planted. The Bonide helps the plant or tree develop the tiny feeder roots especially if the plant is a bare root. what does the ratio 4-10-3 denotes? BEST ANSWER: On a fertilizer this is the amount of major nutrients, nitrogen, phosphorous, and potash. Here 4% nitrogen, 10% phosphorous, 3% potash. 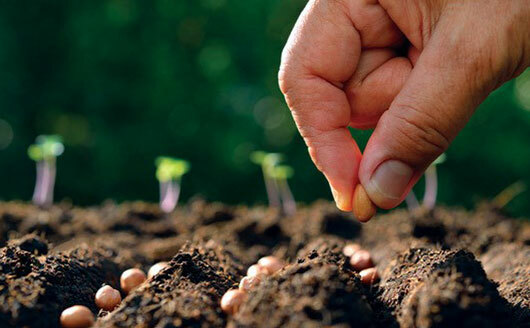 All fertilzers come with such ratings which is a basic way to compare or decide on what formula to buy depending on the nutrient deficiency your soil has. Some may also have other micro-nutrients which may have at least purported value for some purposes--e.g. getting a new plant started--although there are a lot of untested claims for various addititives. In principle you would pay twice as much for an 8-20-6 per lb than for a 4-10-3. Leafy vegetables tend to need a high nitrogen, fruiting plants more phosphorous/less nitrogen. Whenever you see those three numbers on any kind of fertilizer, they represent (in this order): nitrogen, phosphate and potash. Would this help with plants or trees that are not growing ? I have a 2yr pomegranate that is still 2 feet tall and a 6 month fig not growing much? BEST ANSWER: We recommend you do a soil test before you purchase any kind of fertilizer. That way you will know exactly what your soil is missing. Do a soil pH test as well; it may be that the soil needs to be amended to be either more alkaline or more acidic. Pomegranates prefer between 5.5 to 7.0, and fig trees like the soil to be between 6.0 to 6.5. I have not tried it on plants that are already planted. I use it for starting cuts. I would suggest the soil may have something to do with the slow growth. You may want to check for the nutrients needed in the soil to give the roots a boost. Would this be good to use on strawberry plugs as a soak right before planting for hydroponic use? BEST ANSWER: I have only used this on my fruit trees, and it worked excellently. I think for the small investment, I would purchase a specialty amendment specifically for strawberries. Since it takes two years to get a good crop, why chance it going wrong. Also, I have never soaked strawberries in anything but water, always made a pyramid mound to spread the roots over, watered them after they have been planted, and then about a week later watered again with water amended with a specialty strawberry amendment. Good Luck!!! Nothing better than a sugar sweet fresh strawberry for breakfast, dinner, supper and late night snack. Is the Bonide Root and Grow plant starter safe to use on plants that will produce fruit for human consumption? Thank you. This is the information I was looking for. I think it will be safe, otherwise Stark Bros. would not sell it. I have trusted Stark Bros. a long time on many items I have bought. can I use it on bare rooted trees when planting and on potted trees when planting? BEST ANSWER: Yes, can be used for both situations. Can this product be used for fall planting? BEST ANSWER: Even though this is a mild fertilizer, it's not advisable to fertilize in the fall because it encourages tender new growth that will be damaged by frost/sub-freezing temperatures. Always wait until spring to fertilize. Does this help vegetable plants like pumpkin, watermelon, musk melon etc. ... ? Definitely recommend this product. Purchased to use with cuttings, new plants, and transfers. Works wonderfully well!! Great product at a good price. Well worth the investment. Helped to keep the bugs away. Great product for the price!! !